Happy Mother’s Day to All the Moms In Your Life! 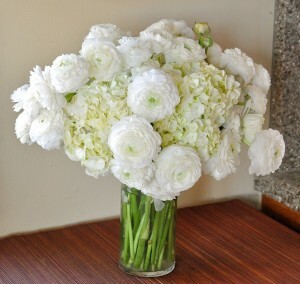 It’s my 8th Mother’s Day and I am enjoy­ing lit­tle out­ings with my kids more and more. 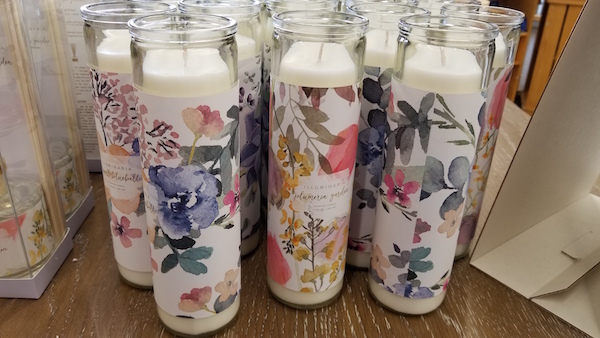 Recent­ly, we went to a World Mar­ket to look for some vase and con­tain­er ideas for upcom­ing events and I couldn’t help but notice all the flower-themed gift items in the store. I snapped away know­ing that these are great ideas for the Mom in your life who likes flow­ers. 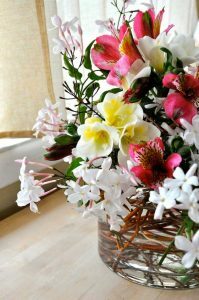 I know you’ll make a flower arrange­ment for that spe­cial some­one, but in case you want to add anoth­er flower item to your gift bas­ket for Mom, here are some cute ideas! Flo­ral can­dles at Cost Plus World Mar­ket — Pho­to by Kit Wertz. 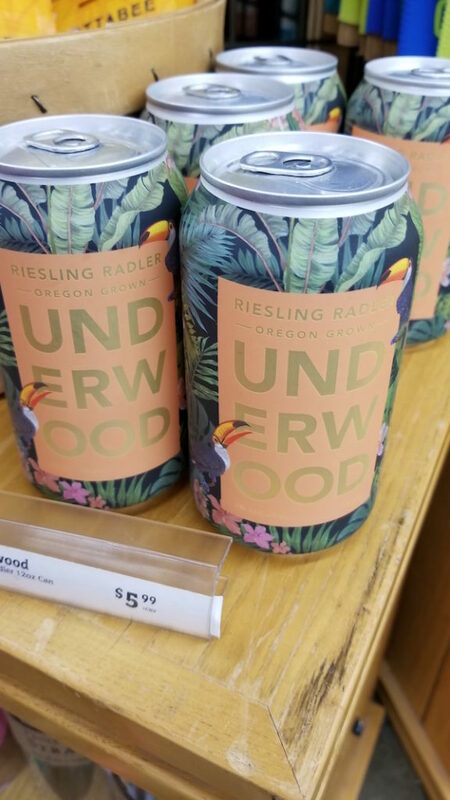 Pret­ty trop­i­cal-themed canned wine by Under­wood at Cost Plus World Mar­ket — Pho­to by Kit Wertz. Flo­ral pil­low at Cost Plus World Mar­ket — Pho­to by Kit Wertz. 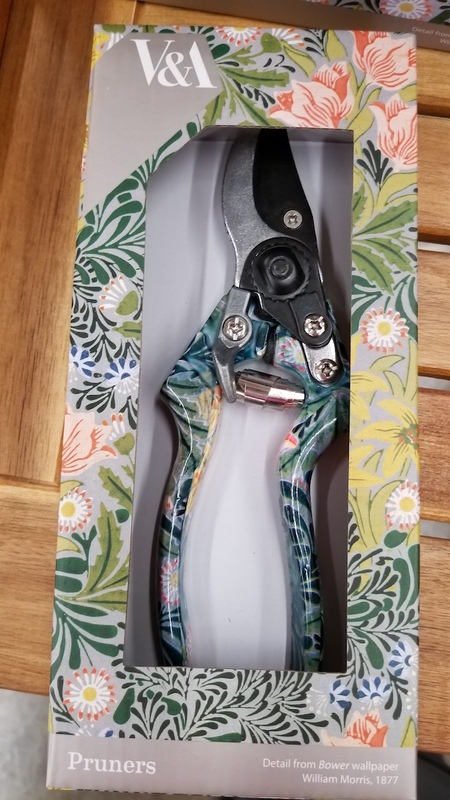 Flo­ral pruners at Cost Plus World Mar­ket — Pho­to by Kit Wertz. 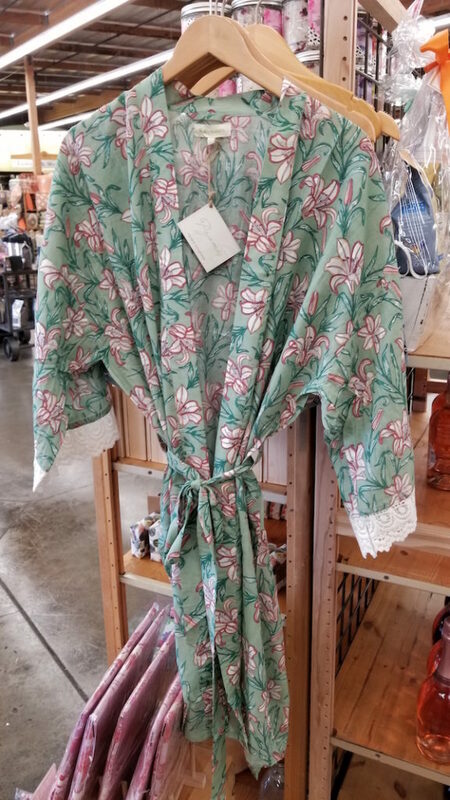 Flo­ral robe at Cost Plus World Mar­ket — Pho­to by Kit Wertz. Flo­ral tea tow­el at Cost Plus World Mar­ket — Pho­to by Kit Wertz. 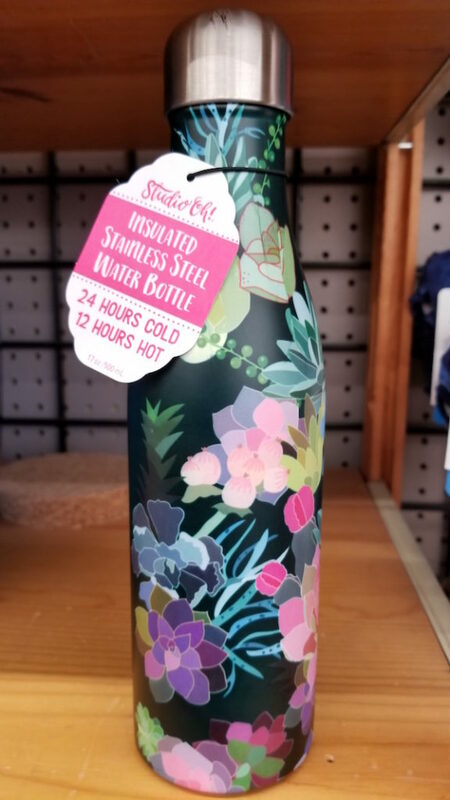 Flo­ral alu­minum water bot­tle at Cost Plus World Mar­ket — Pho­to by Kit Wertz. 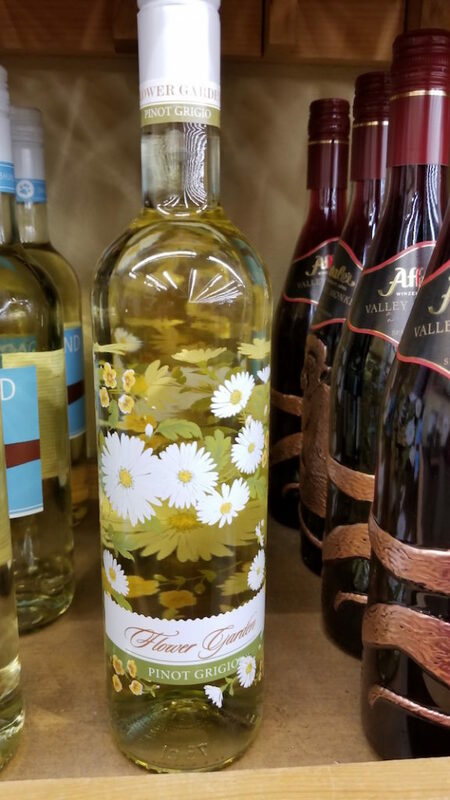 Flower Gar­den Wine at Cost Plus World Mar­ket — Pho­to by Kit Wertz. Suc­cu­lent note­book Cost Plus World Mar­ket — Pho­to by Kit Wertz. 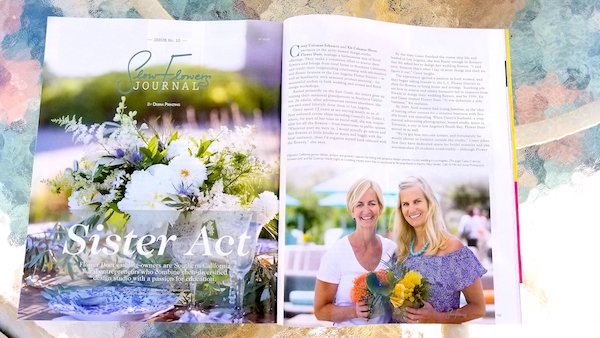 We were fea­tured in the Slow Flow­ers Jour­nal sec­tion of the May 2018 Issue of Florists’ Review magazine…AND…Kit wrote a cov­er arti­cle about the Los Ange­les Flower Dis­trict! 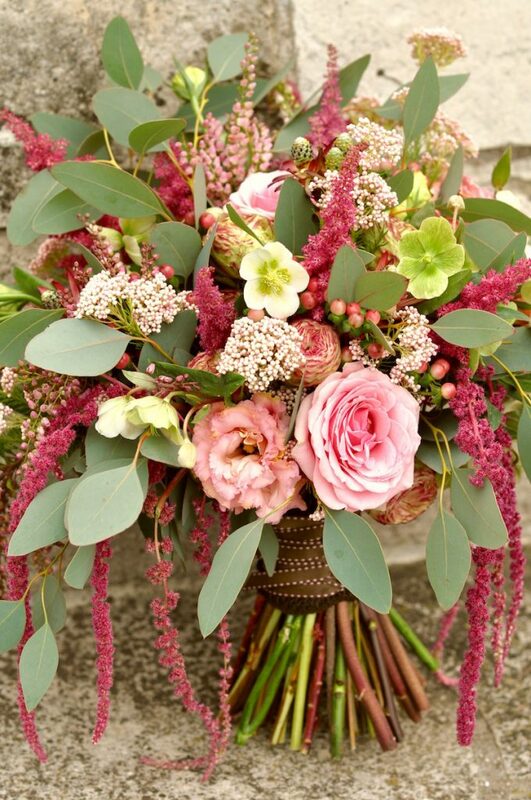 Florists’ Review is the old­est and largest trade pub­li­ca­tion in the flo­ral indus­try and the industry’s only inde­pen­dent month­ly mag­a­zine. 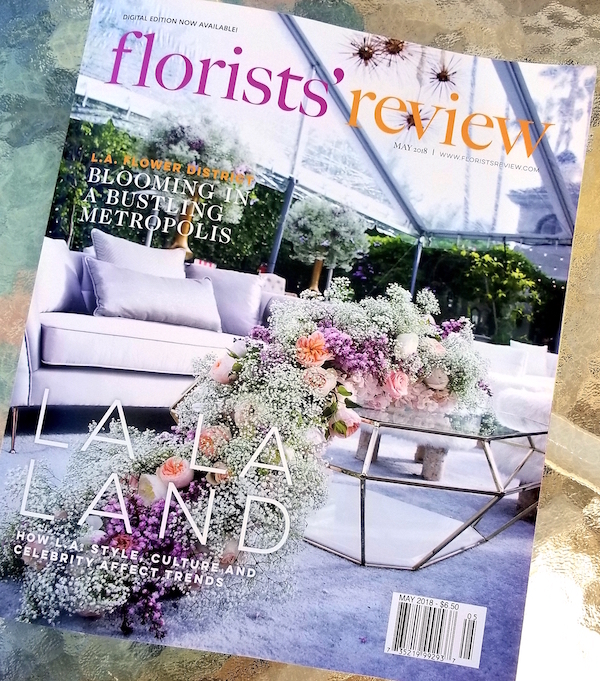 The Slow Flow­ers Jour­nal was found­ed and writ­ten by Debra Prinz­ing, “pro­vid­ing ideas and inspi­ra­tion for your flo­ral year to come in design, busi­ness, flower sourc­ing, and brand­ing.” It appears in each issue of Florists’ Review mag­a­zine as well as online. “Florists’ Review has been serv­ing the flo­ral indus­try for near­ly 120 years. Estab­lished by Gilbert Leonard Grant in 1897 as The Week­ly Florists’ Review, it was the first flo­ral mag­a­zine to use pho­tog­ra­phy rather than sketch­es, giv­ing florists a true pic­ture of what was hap­pen­ing in their indus­try. Free Spir­it. 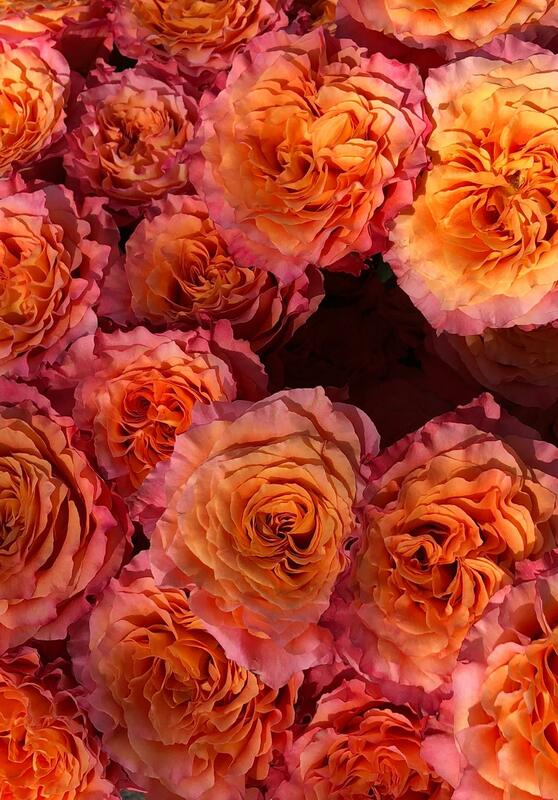 This is the name of a rose and it is what every human has. I had the delight and hon­or to be a part of Career Day for two mid­dle schools and an ele­men­tary school in my neigh­bor­hood last month. On the heels of “Lock Down Drills and Active Shoot­er Drills,” I want­ed to remind these kids ages 7–14 that they all have the Free Spir­it to choose careers and life paths that are good, help­ful, kind and per­haps even fun! I made ten arrange­ments with these Free Spir­it ros­es over the last cou­ple of weeks to over 200 stu­dents who asked great ques­tions. I was hap­py to share answers and fun sto­ries about my careers at sea and on land which includ­ed flow­ers. They learned that flow­ers are a part of every sin­gle cul­ture, that flow­ers grow all over the world includ­ing on farms close to our schools and are appro­pri­ate for just about every sin­gle occa­sion and for no rea­son at all. Give flow­ers to the ones you love, give them to your­self, give them to any­one. They make every­one smile and feel hap­py. That is a great feel­ing. 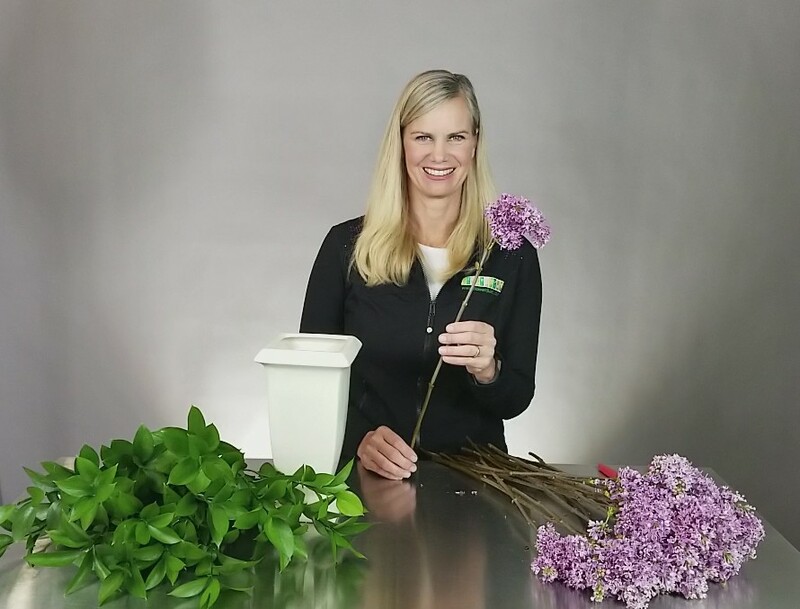 It’s lilac time and Kit shows you an easy way to lay­er with lilacs in this month’s free course we offer as a pre­view to our Flower Arrang­ing Fri­days For­ev­er — Online Flower Course. For a month­ly fee, you have access to a new class each week and all the class­es we’ve post­ed since the first week of Jan­u­ary 2018! 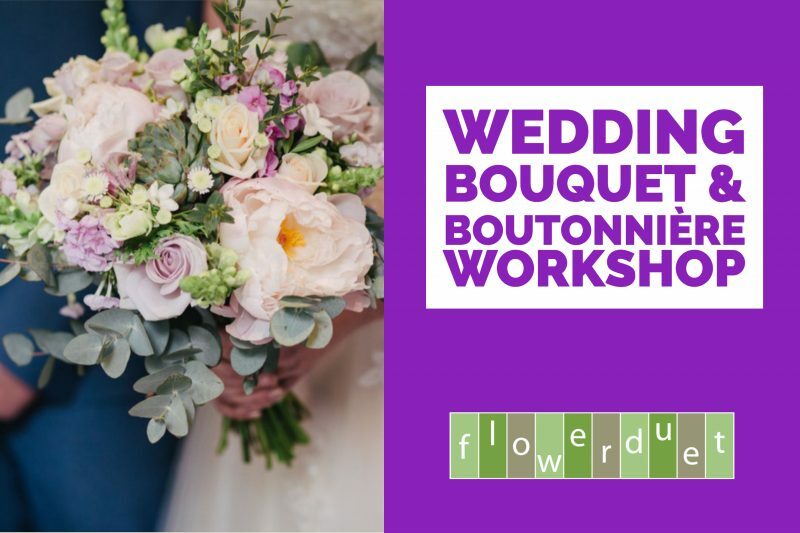 Enroll today in this FREE class! Pantone 2018 Color of the Year in Full Bloom! 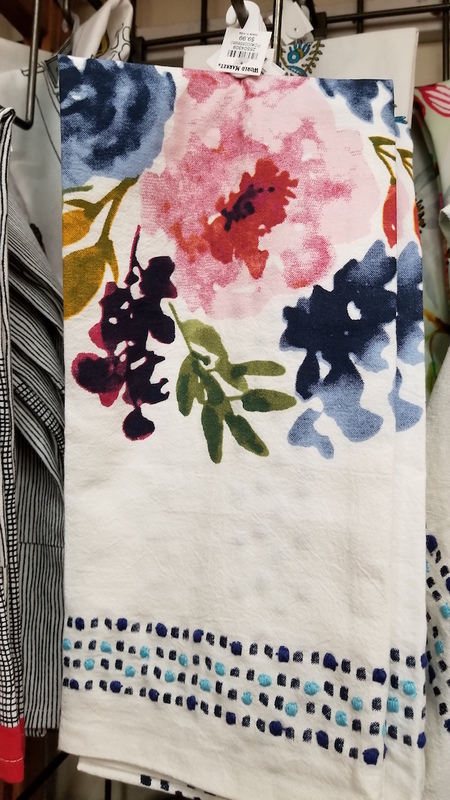 Pan­tone 2018 col­or of the year, Ultra Vio­let, was in full bloom on a flower wall Con­struct­ed for Bren­ton Wolf Design by Flower Duet and its team at The Grove in Los Ange­les. 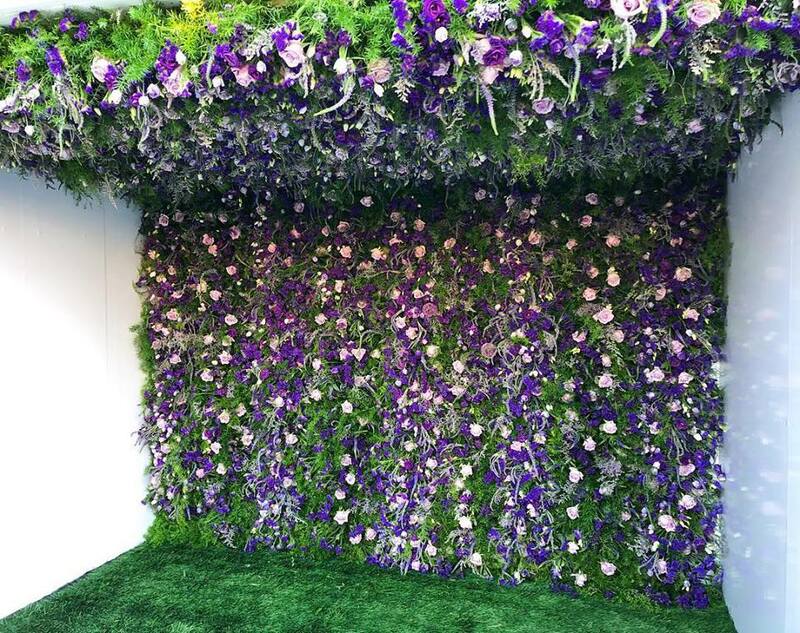 Flower Duet teamed up to help exe­cute a design by both-coasts flo­ral design­er Bren­ton Wolf for the sec­ond time and helped to cre­ate and install this amaz­ing flo­ral room for an event at The Grove. 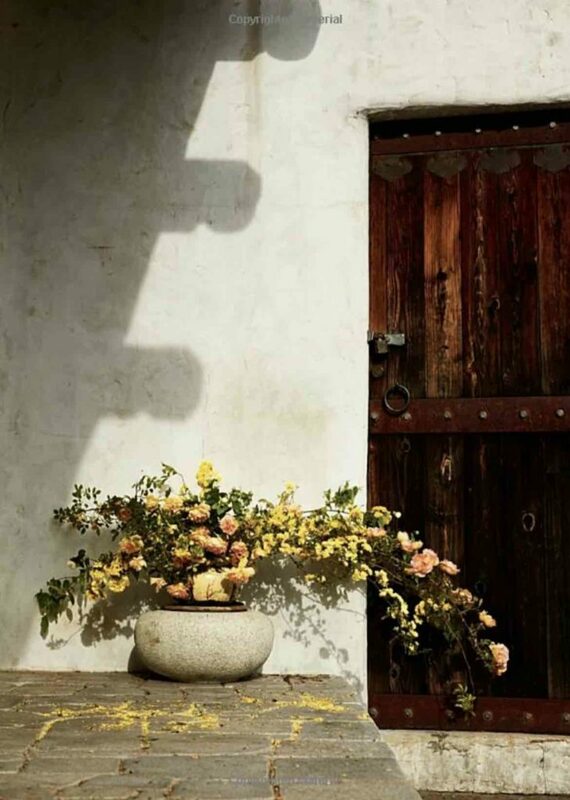 Gives new mean­ing to #wall­flower.….hard­ly shy and reserved but bold and stun­ning. Amer­i­can grown laven­der, sta­t­ice, ferns, misty blue, and sta­t­ice graced the walls! 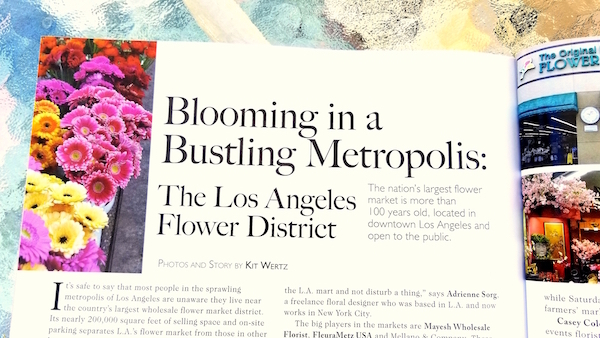 Flow­ers sourced from Mel­lano and Com­pa­ny, Mayesh, Flower Link, and Fleu­raM­etz USA. 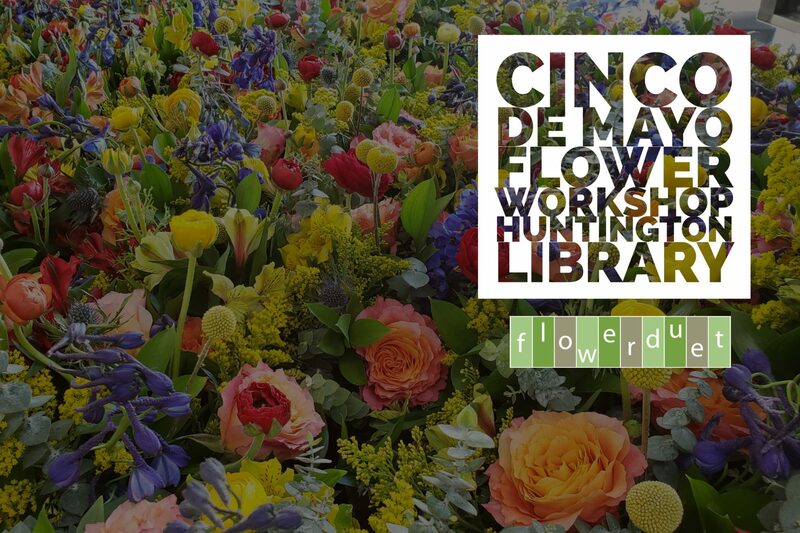 Check­ing out my local library for new fic­tion goes hand-in-hand with a trip to the flower arrang­ing sec­tion to see if I missed any cool flo­ral books! I found this one last week that was pub­lished in 2016. 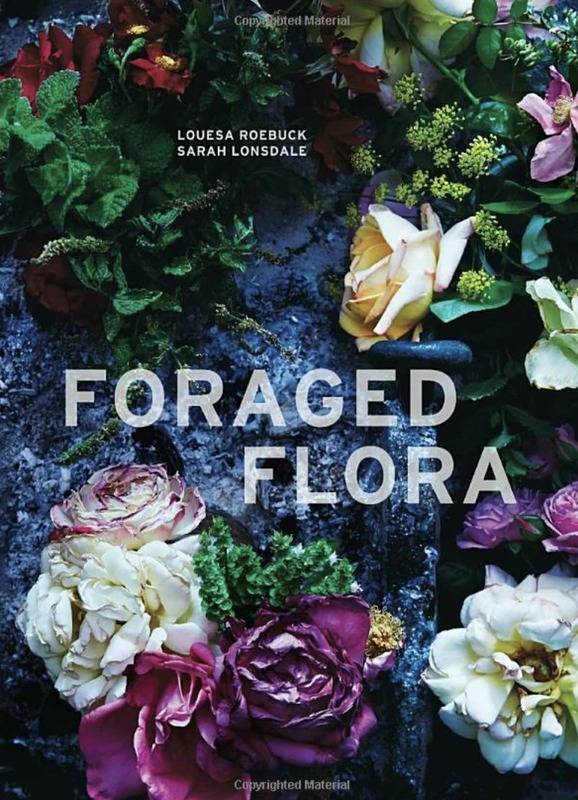 This book, For­aged Flo­ra: A Year of Gath­er­ing and Arrang­ing Wild Plants and Flow­ers, fol­lows a year of for­ag­ing for flow­ers, branch­es and stems to cre­ate unique designs. The pho­tog­ra­phy is amaz­ing and the sto­ries are intrigu­ing as to how the design­ers came up with their ideas. 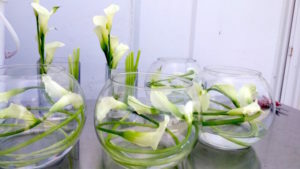 It’s a les­son in botany, design and the artis­tic mind. 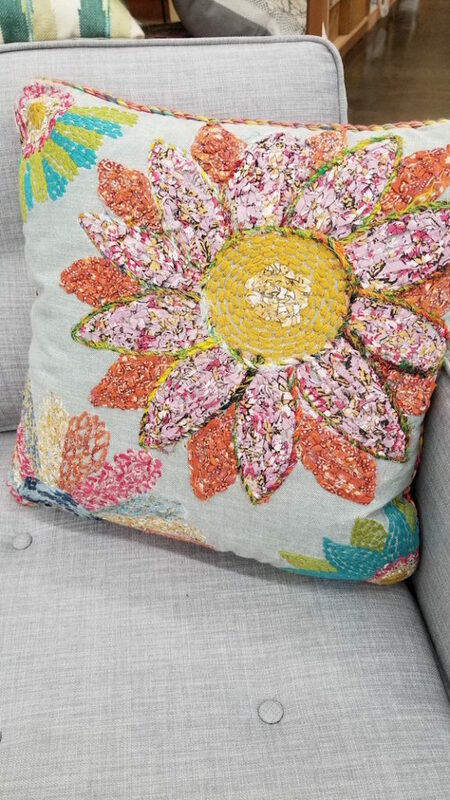 It’s a beau­ti­ful cof­fee table book, too! 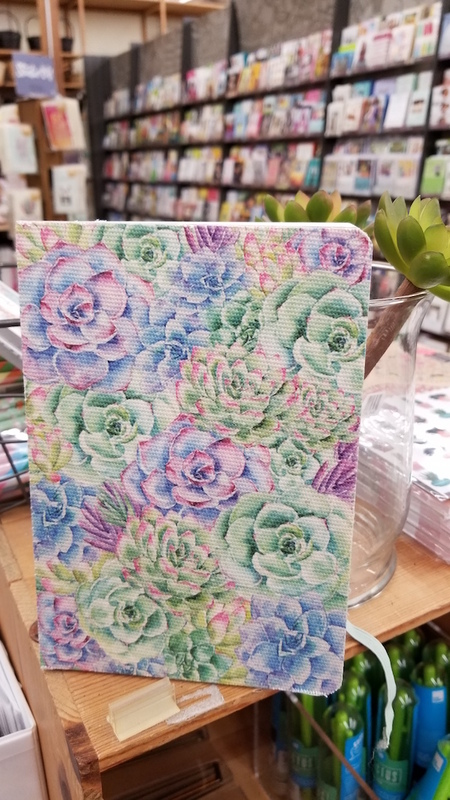 Great gift idea for Mother’s Day! While perus­ing for some­thing to watch on Net­flix that does not involve zom­bies, I found this inspi­ra­tional — based on a true sto­ry — fea­ture film about a land­scape archi­tect who became the youngest design­er to win at the annu­al Chelsea Gar­den Show. Dare to Be Wild is about the life of Irish gar­den design­er, Mary Reynolds, who faced more than a few obsta­cles to enter the com­pe­ti­tion, receive fund­ing and gain assis­tance to cre­ate an amaz­ing gold medal-win­ning fea­ture gar­den at the show. I tru­ly think that any­one who loves gar­dens, nature, flow­ers and tri­umph­ing over naysay­ers will love this movie. 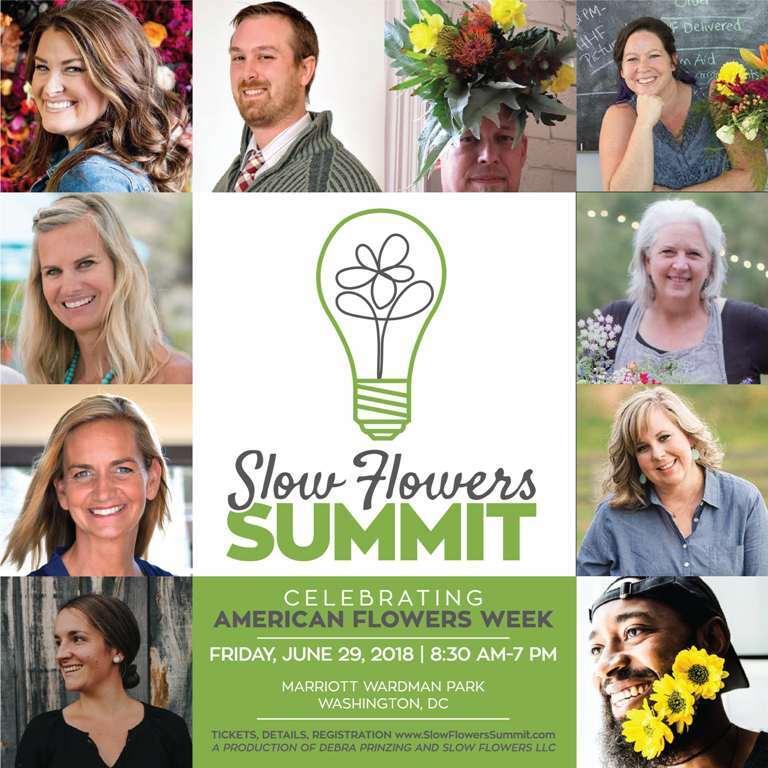 Don’t Forget to Reserve Your SLOW FLOWERS SUMMIT Tickets!!! We are get­ting very excit­ed about our appear­ance and pre­sen­ta­tion at The 2nd Annu­al Slow Flow­ers Sum­mit on June 29, 2018, in Wash­ing­ton, D.C. — our old stomp­ing grounds. Casey and Kit will be talk­ing about our diver­si­fied busi­ness mod­el. We’ll edu­cate flo­ral design­ers and florists on how to expand their busi­ness to include edu­ca­tion. 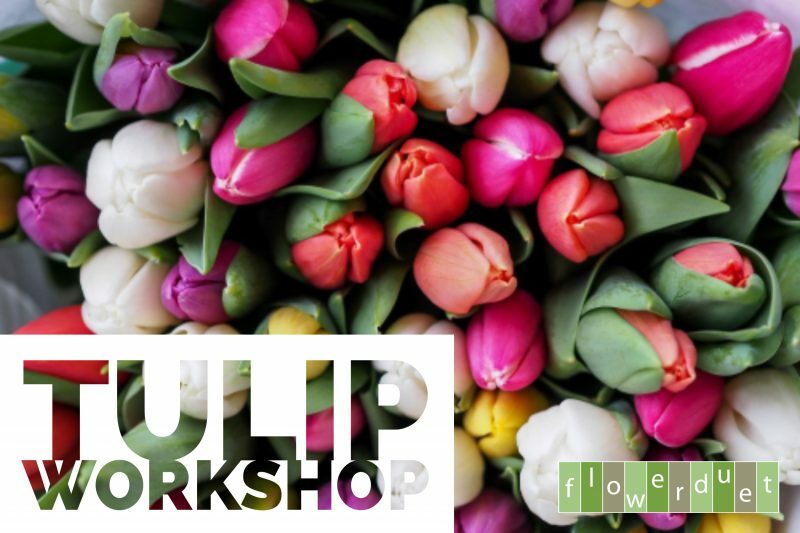 There is a fan­tas­tic line­up of speak­ers for this event including a keynote by Christi­na Stem­bel of Far­m­girl Flow­ers and a pan­el with our fel­low LA flower guru, Mud Baron and Mary­land urban flower farmer, Walk­er Marsh of Tha Flower Fac­to­ry. 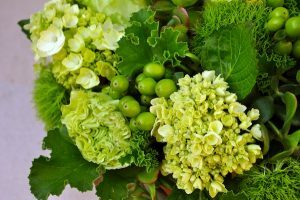 Also fea­tured speak­ers will be Mary Kate Kin­nae of The Local Bou­quet, Kel­ly Shore of Petals by the Shore, Jonathan Weber of greensin­ner and our host­ess with the mostest, founder of the Slow Flow­ers Sum­mit and Slow Flow­ers move­ment, Debra Prinz­ing, of SLOW Flow­ers. Join us for Amer­i­can Flow­ers Week in our Nation’s Cap­i­tal! Casey and I grew up there. We know where to go and what to see. Reach out and ask our advice and we hope to see you there!!! !